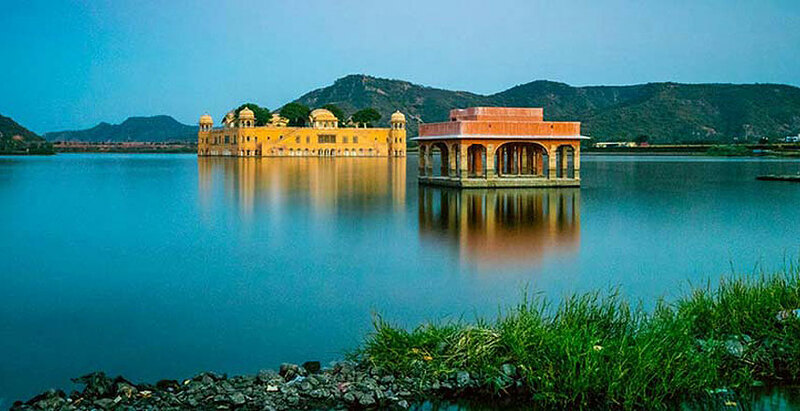 Places to Visit: Hawa Mahal, Jaipur City Palace, Jal Mahal, Amer Fort, Janter manter & Local Bazar. 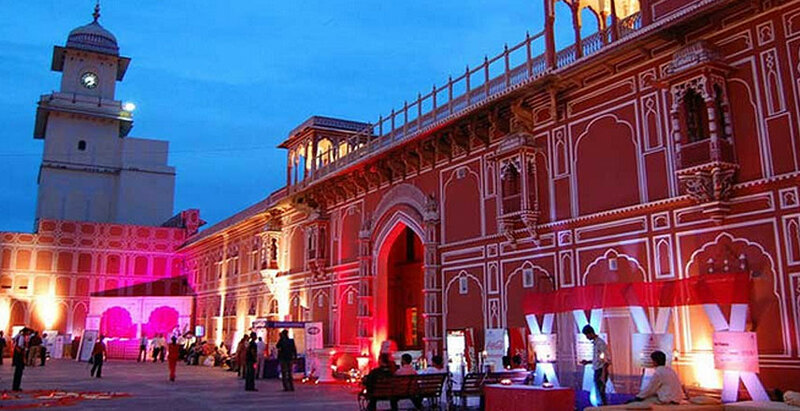 In this tour, your tour guide will come to meet you in your hotel in Jaipur. 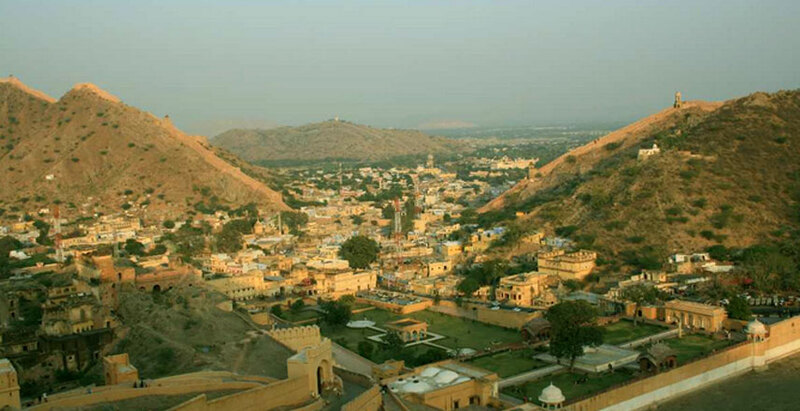 First you can visit Amer fort : Earlier to the Kachwahas, Amer was a small place built by Meenas in the town they consecrated to Amba, the Mother Goddess, whom they knew as 'Gatta Rani' or 'Queen of the Pass'. The fort is originally believed to have been built by Raja Man Singh during 967 CE. Amer Fort, as it stands now, was built over the remnants of this earlier structure during the reign of Raja Man Singh, the Kachwaha King of Amber. 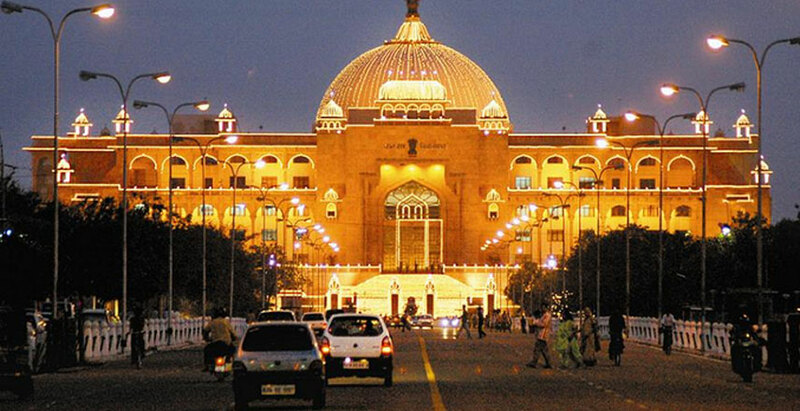 The structure was fully expanded by his descendant, Jai Singh I. 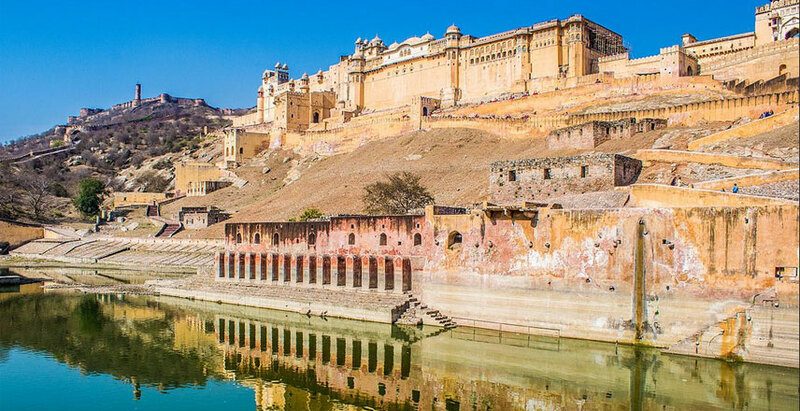 Even later, Amer Fort underwent improvements and additions by successive rulers over the next 150 years, until the Kachwahas shifted their capital to Jaipur during the time of Sawai Jai Singh II, in 1727. Note: You can go to fort by elephant ride, As this is the main attraction of Amer fort. 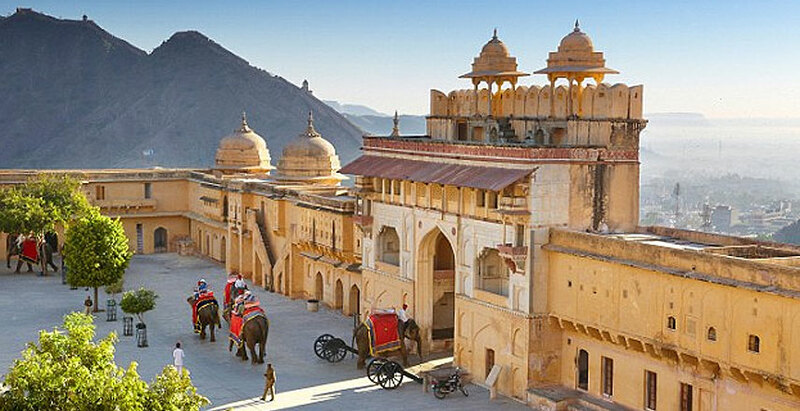 Get a true taste of one of India's most colorful cities on this Jaipur private tour, which includes stops at architectural and cultural destinations such as Amber Fort and City Palace. Along the way, make a stop at the UNESCO World Heritage-listed Jantar Mantar, and take a jeep ride up to the fort. Keep hunger at bay with a traditional Indian lunch. Travel in the comfort of your a private, climate-controlled vehicle, enjoy hotel pickup and drop-off, and spend between half an hour to 1.5 hours at each stop. 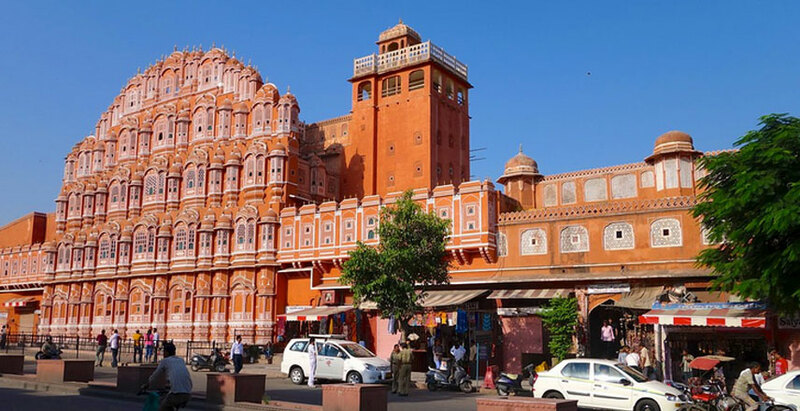 Explore the Pink City, Local Markets of Jaipur, Rickshaw Riding, visit oldest Bazaar "Badi Chapaur", "Chhoti Chapaur", etc and also enjoy the tradition food of Jaipur. Tour Guide Services. (Explanation of monuments). All tax,toll tax, parking, etc.